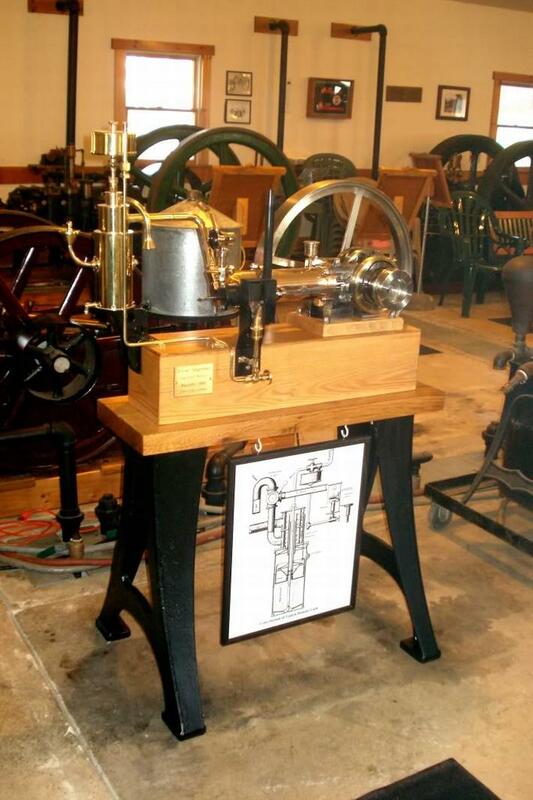 When the Daimler Chrysler Corporation decided to make a reproduction of its first engine, one that was a pioneer in automobiles and the model for the modern engine, it commissioned three copies. One was kept at the company’s headquarters, the other went to a collector in Michigan and the third to a museum. Ironically, there was a problem with all three—Chrysler couldn’t get any of them to work. That’s where Wayne Grenning came in. He is a historic gas engine reproduction expert, having built a museum’s worth of them that he keeps at his Lockport, N.Y., home. One of the Daimler models found its way to Pennsylvania, where it was displayed at the Coolspring Power Museum. The museum’s director already knew Wayne well from the many reproductions he sent the museum, so he turned to Wayne again to help fix the missing components and get the engine up and running. The Daimler engine represented the culmination of the experimentation with internal combustion, but the original engine was lost in a factory fire in 1903, with only the blueprints surviving. From those drawings two prototypes were made for advertising purposes, but the designers didn’t like the look of where the carburetor was so they moved it to look “more presentable.” After spending months on the project with the help of two others, he had the engine up and running again. Between his website [Grenning Models and his YouTube page,] and his activity on forums, Grenning has provided extensive details for just about every major project he’s ever done in the past decade or so. For readers who want a more in-depth look at how Wayne restored the engine, complete with photos of just about every step, he maintained a thread on the SmokStak Forum as he worked on the project. It was a trip to the county fair at age 11 that first turned Wayne on to making model engines. His friends wanted to sample the food and go on the carnival rides, but Wayne was more concerned with the impressive display of tractors and other equipment beyond the rides and games. He started working on engines from there, building his first hit-or-miss engine in 9th grade. “That was the beginning of my bug for machining, and I kept working on other projects after that,” he says. It wasn’t until after he graduated college that Wayne decided to make it something more than a hobby. He began actively making engines, and by the end of his 20s he was making his own casting kits to sell. Today Wayne is a fixture on the model show circuit and bulletin boards like SmokStak. When he started, machining was mostly a solitary endeavor, with little communication between participants. He recalls that when someone had a question about a certain technique or project, their options were limited—they could ask the one or two other people they might know, usually a mentor, or if that person didn’t have an answer they could write to one of the few specialty magazines and hope for an answer in the forum within a few months. 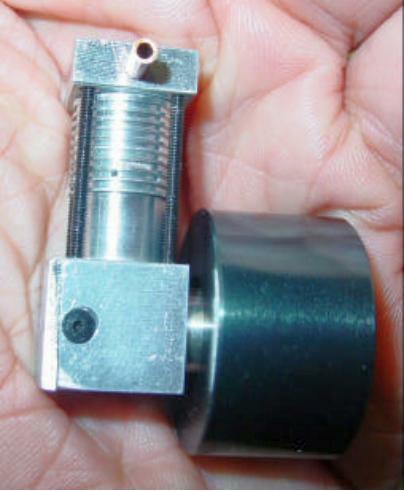 Today, with the advent of the internet and the prevalence of forums dedicated to just about every type of machining, the world of machinists has grown more connected and knowledge shared much easier, Wayne says. The Internet has also brought about a large increase in the type of projects hobbyists can do and made it easier to buy materials, Wayne says. Casting kits and projects in particularly have grown by “leaps and bounds” in the past 10 or 15 years, he adds. Before the rise of the internet, most machining hobbyists read or earned about new projects from magazines, so they could see anywhere from 12 to 18 new projects over a year. Today, with internet forums and web sites dedicated to all different aspects of machining, they have a trove of information available at just a click. 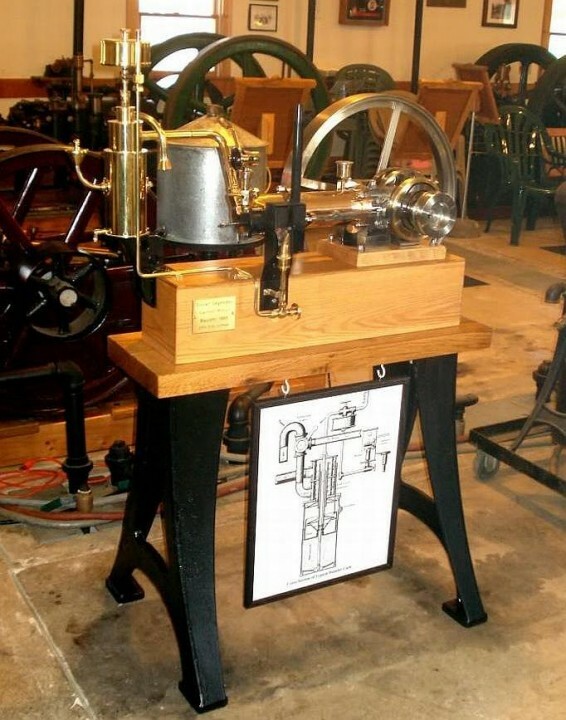 This Stirling engine can be built without machine tools or machinist skills. It uses inexpensive and easy-to-find materials and it looks like it is easy to make. I wanted to include it for our many visitors who aren’t machinists but who come here looking for plans for Stirling engines they can build. You can find the instructions for building it on “Scrap to Power”. 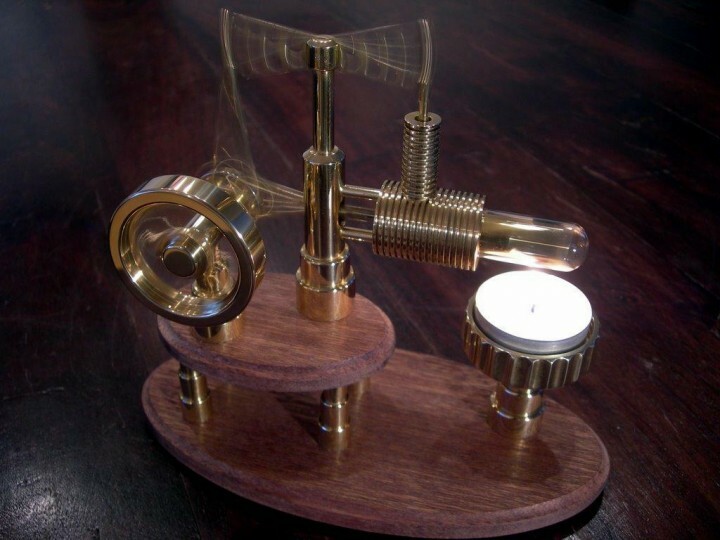 You’ll also find some other simple Stirling engines you can make, along with some other interesting projects. Look for someone’s strengths instead of their weaknesses.